Tickets and competition package sold seperately, please contact us directly for more information. 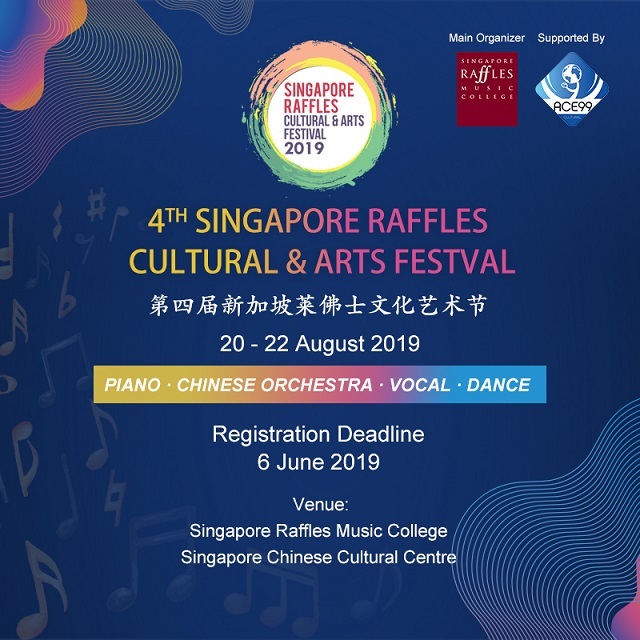 This festival comprises of 4 Competition Categories: Piano, Chinese Orchestra, Vocal and Dance. Whether you are a student, a professional or someone who simply enjoy performing, this is the BEST chance for you to shine! • A nurturing stage for you to gain exposure in performing and competing at an international level. Email us at event@ace99.com.sg to find out more!